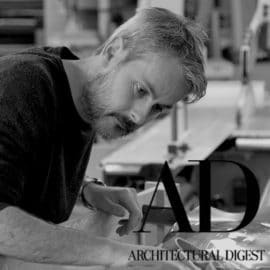 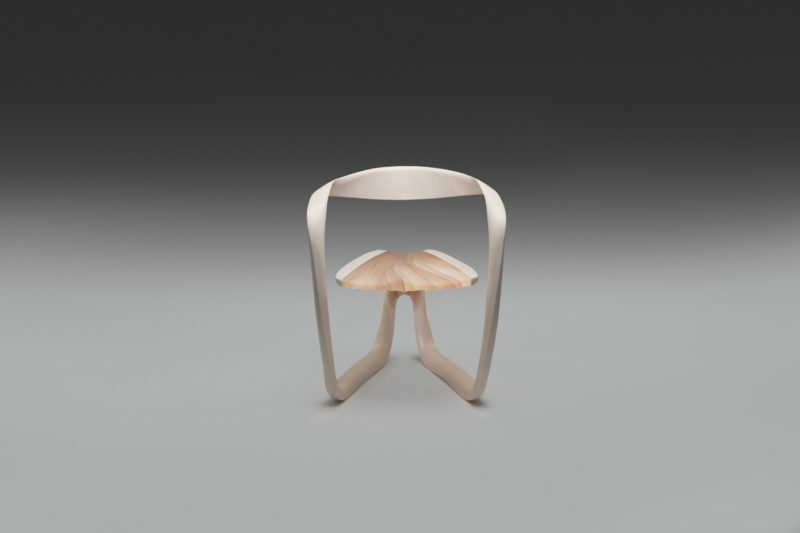 After a much lauded showing at Design Miami 2018 where Marc Fish’s debuted his Ethereal Desk, Fish will be showing the next in his Ethereal Series – The Ethereal Chair. Fish combines his approach of creating curvilinear forms using his signature micro stack-lamination technique with a new process of marrying paper-thin wood laminations with poured resin. 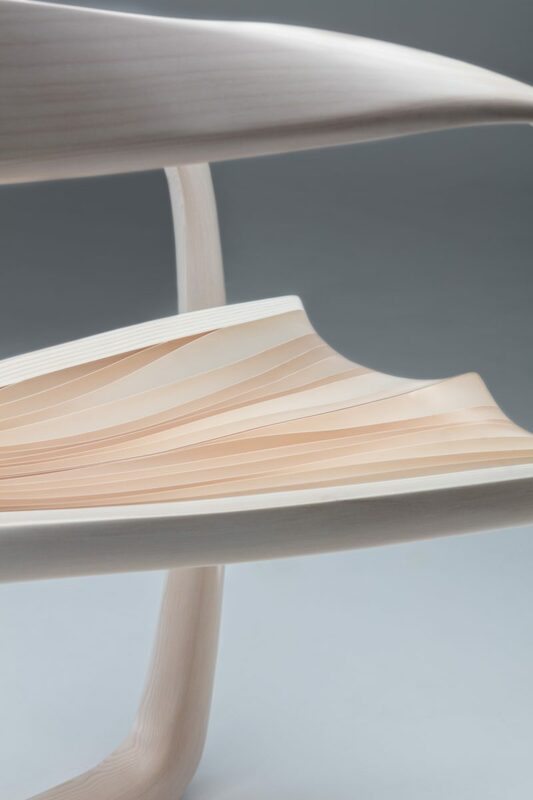 The result is a seamless structure, with engineered precision that allows light to pass through it. 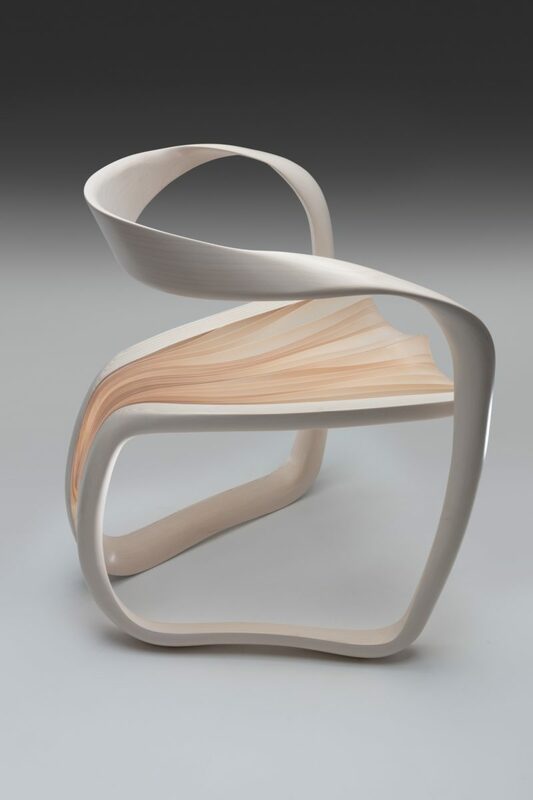 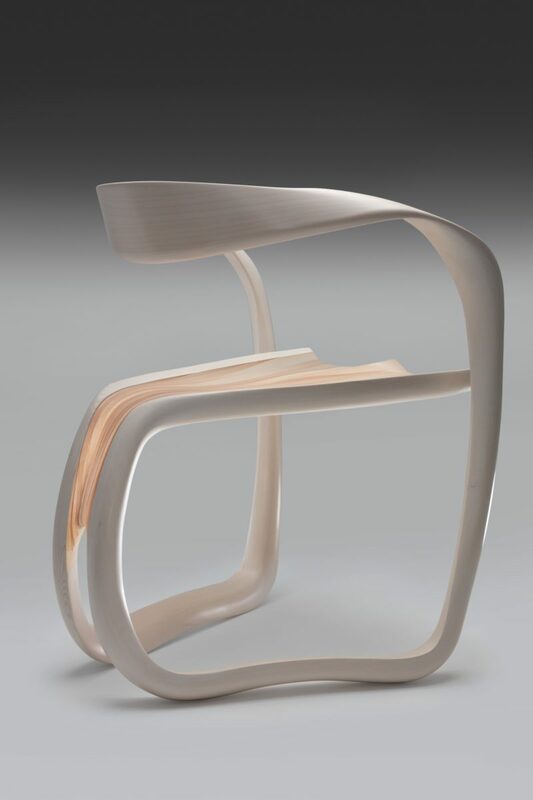 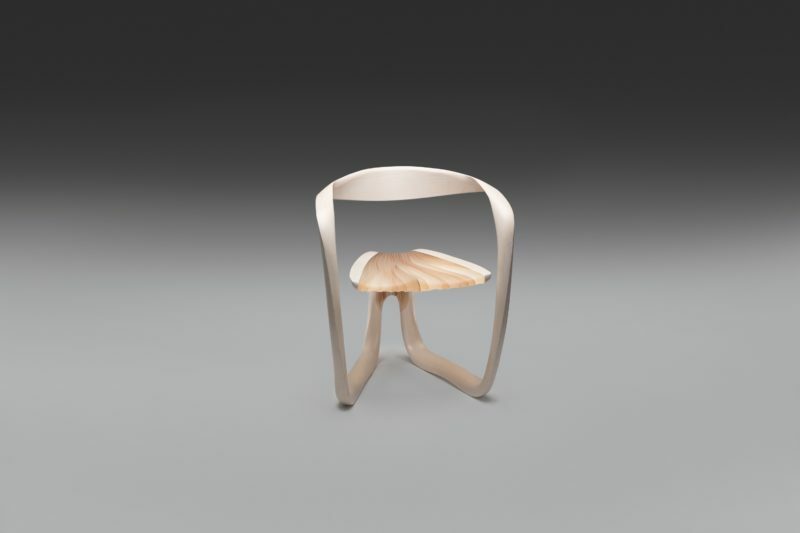 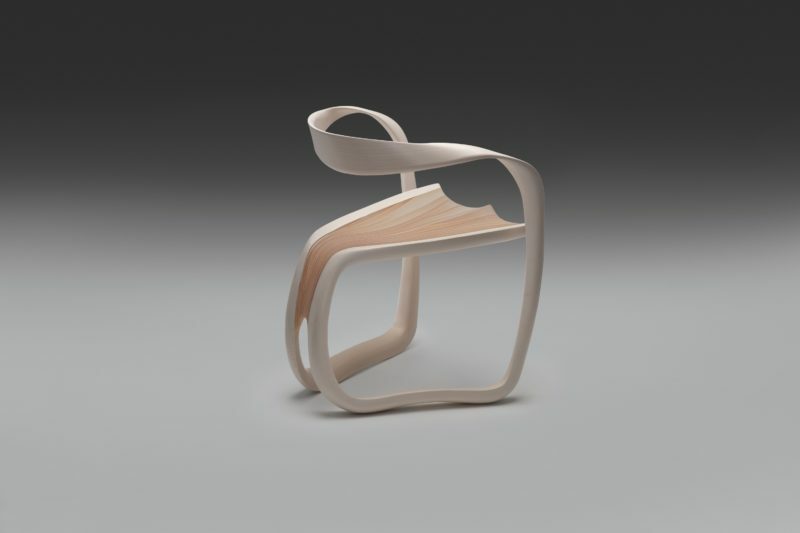 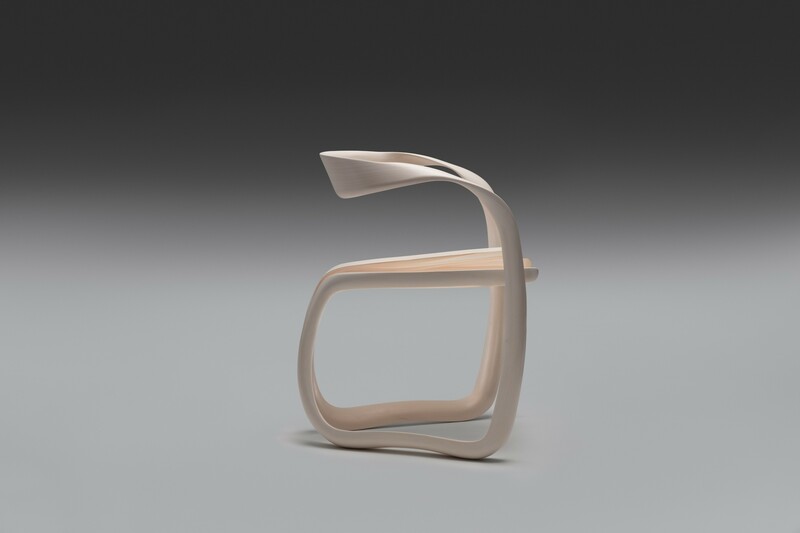 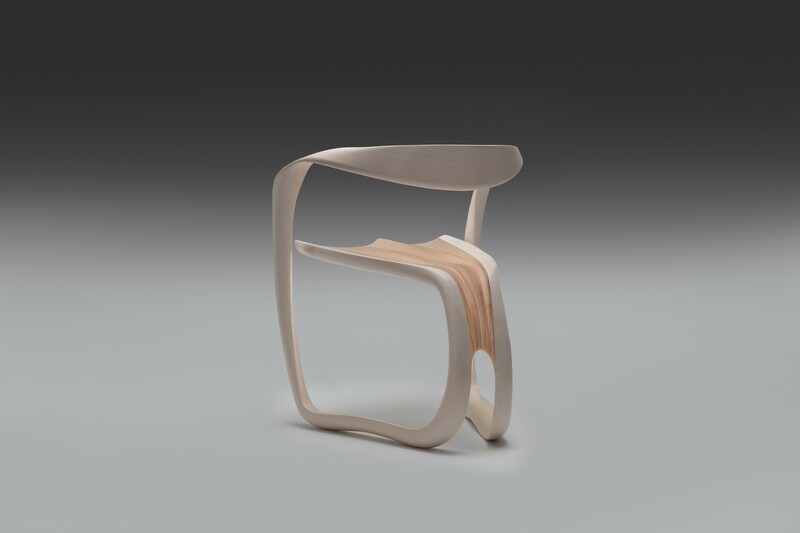 The traveling line of the chair’s back and arms meet to form the wood and resin seat. 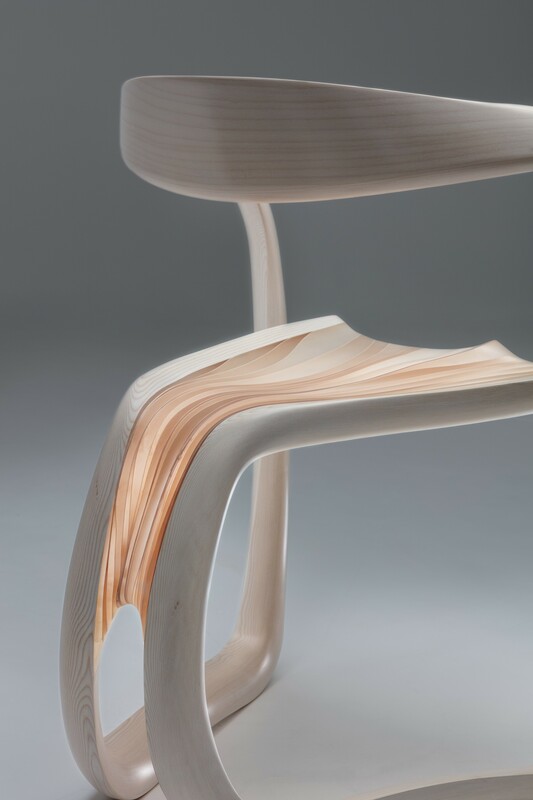 As the spaces between the paper-thin laminations in the seat fluctuate, light passes through at varying shades from light to dark. 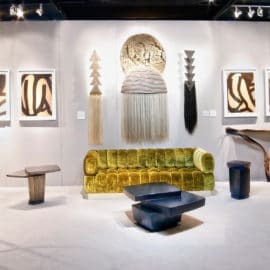 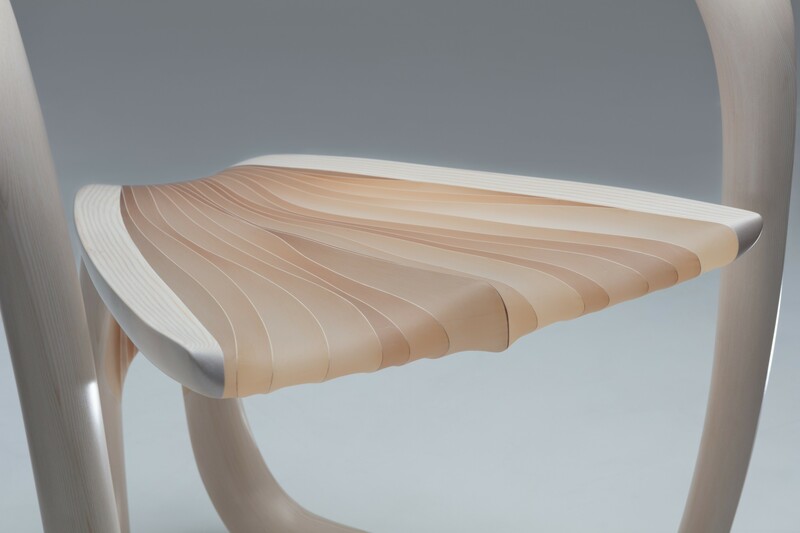 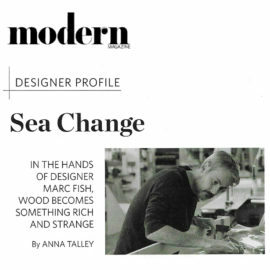 In an exploration to develop new, innovative techniques Fish has pushed the limits of twenty-first century furniture design.